Satcoms UK is provided free to everyone. You can watch 'Satcoms TV', Satellite Communications Industry Television which has the Satcoms Industry Channel contianing hundreds of Satellite Industry Videos. There is also a built-in broadband speed checker so you can check your internet connection. This website is being redeveoped to remove all forums and anything requiring user registration. This is due to lack of use and cost of maintenance. Instead all efforts are now and will continue to be focussed on the tools and engineering resources that engineers need to do their jobs. Satellite Link Budget Calculator We have two free online calculators for satellite link budgets. 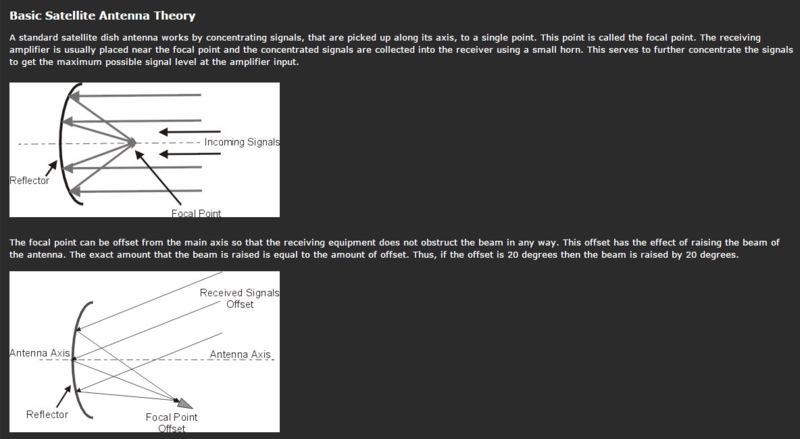 Latitude and Longitude - Antenna Pointing find your antenna pointing angles. Free Android Apps for link budgets and antenna far field calculation. Free Engineering Software useful tools for designing satellite communications systems. There is a complete set of Tutorials, covering the basics up to a working knowledge suitable for entry level for Satellite Communications Courses. We have a Satellite Uplink Simulator to test your skills at power balancing. Useful Calculations to help you design your system such as EIRP, C/No, Eb/No, G/T, Antenna Gain, BER and Translation Frequency. The Job Listings are updated everyday if not during the day. There is the Latest News for Satellite and World News.